CREATING AWESOME EXPERIENCES FOR AWESOME PEOPLE! 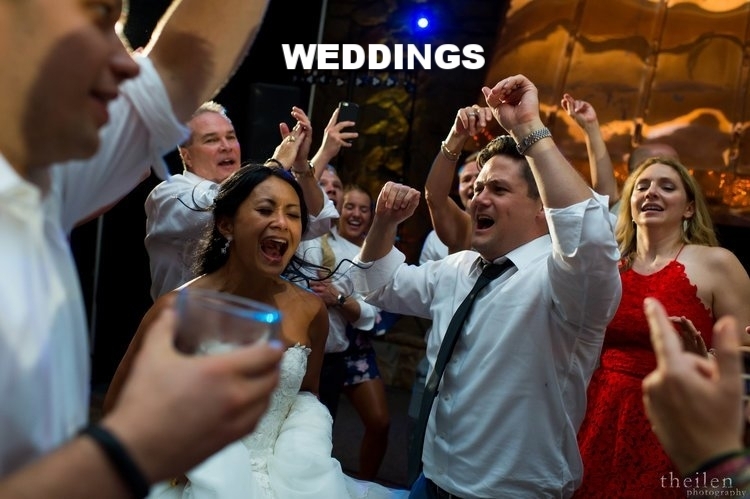 Sounds Elevated specializes in offering the best premium wedding and event services in the SF Bay Area. We provide an exciting, unique and highly skilled DJ service that goes above and beyond to create a special experience for our clients. DJ / Live music combinations, Epic dance parties, stunning lighting design and the highest quality photo booths in the industry make Sounds Elevated stand out. When DJ Good isn’t good enough. When the average DJ service won’t cut it. When your worst fear is getting that cheesy DJ that your guests don’t like or won’t remember . . . Sounds Elevated is here to help with proven event oversight, passion for success and dedication to producing amazing events. You dream it, we make it happen! We connect our clients with elite artists and the best DJs and entertainment specialists in the Bay Area and select destinations. We pride ourselves in being prompt, professional and trustworthy while remaining relaxed and laid back throughout the process. Our clients love what we do! Zeb read the crowd perfectly and created an atmosphere that everyone wanted to be part of. Everyone was having the time of their lives and no one wanted to leave the dance floor! Zeb is a true professional and has mastered his role in events. I hope to be on the same team with him again in the near future!